My name is Max and I was born in San Diego. When my mom came to pick a puppy, I wanted to go home with her, so I climbed right into her arms and fell asleep. 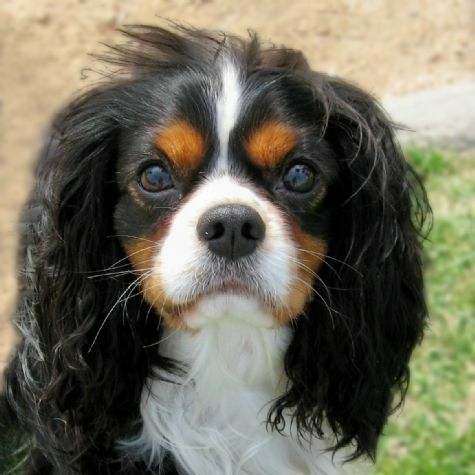 I�m a Cavalier King Charles Spaniel. We�re lap dogs that love attention. I now live in Santa Monica, and it�s a good life! My tail never stops wagging. We walk by the beach every day, and I get lots of kisses and belly rubs. I love being a therapy dog. When my mom puts on my green vest, I know we�re going to make someone smile!